If you are Yoga lover this product is perfect for you. I show today YogDev yoga wheel designed for your Dharma yoga wheel poses. Anyone can use it at any level, you don't need to be a yoga expert. I started to use it and now I can not practice yoga without my YogDev wheel, it offers me all the balance and strength support for my body. You can use it for regular yoga practice or just for a post-workout recovery. YogDev yoga wheel is made from high quality material so you can be sure it will always be in the best condition to use it. 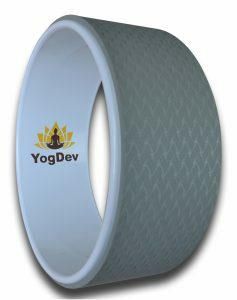 Do like me and get you YogDev yoga wheel now here and start enjoying yoga.